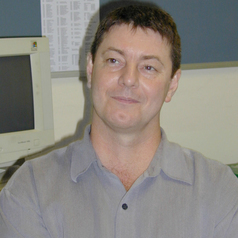 Dr Ray Adams specialises in psychometrics, educational statistics, large-scale testing and international comparative studies, is an Honorary Senior Fellow at the Assessment Research Centre of the University of Melbourne and he is head of the ACER Centre for Global Education Monitoring. He was the International Project Director for the OECD Programme for International Student Achievement (PISA) from its inception until 2014 and led its design. PISA is perhaps the world’s largest and most significant educational research project. PISA started in 1998 with a first data collection in 2000, when over 170,000 students from 28 OECD Member countries and four other countries were assessed. Subsequent data collections undertaken under his supervision occurred in 2003, 2006, 2009 and 2012. PISA assessments have become an international benchmark for the quality of educational outcomes are now undertaken in excess of 70 countries. His personal research program is on the extension of fundamental measurement models (Rasch item response models) to deal with performance assessments and on the application of item response methods to international surveys of educational outcomes. Methods developed by Dr Adams have been used in PISA and Third International Mathematics and Science study (TIMSS) and he has developed psychometric approaches to the Assessment and Teaching of 21st Century Skills. Dr Adams was a member of the international TIMSS technical advisory committee and in that role was responsible for developing the test design and all test analysis procedures. He is a past Chair of the Technical Advisory group for the International Association for the Evaluation of Educational Achievement (IEA), and he is currently chair of the Measurement Advisory Group that provides technical guidance to Australia’s national assessment program, NAPLAN.